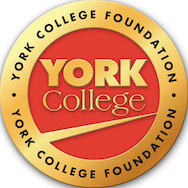 York College is recognized as one of the most affordable senior colleges in the nation and provides the opportunity for a quality education to capable young men and women regardless of their economic background. The true cost of higher education includes tuition, books and supplies, transportation, and the ability to afford the cost of basic needs without seeking additional employment that can jeopardize their time studying. Over 80% of York College students graduate debt-free but that leaves almost 2,000 students with a financial burden and that doesn’t even speak to the number of students who take time off or drop-out if they cannot afford to continue. 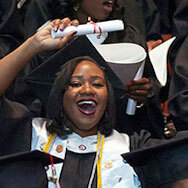 Make a scholarship gift today to make a real difference in the lives of our York College students.